NORTH PALM BEACH, Fla.--Jack Nicklaus made a visit to Croatia over the weekend that included a meeting Saturday in the capital city of Zagreb with the Prime Minister, Dr. Ivo Sanader, and other government officials to celebrate the official signing and announcement of the first Jack Nicklaus Signature Golf Course in the Republic of Croatia. A contract-signing ceremony Sunday officially launched the relationship between Nicklaus Design and Porto Mariccio Resort, an upscale community on the country's Western coast of the Istrian Peninsula. Jack Nicklaus and the world's leading golf course design firm were chosen to bring to life the first integrated resort in Croatia to consist of a luxury hotel that will include a spa, wellness center and meeting facilities; a variety of residential offerings totaling more than 460 units; a 350-berth marina; and an 18-hole golf course. Porto Mariccio Resort, which is being developed by the real-estate investment firm AB Maris, will be situated between the town of Rovinj and Pula, and near the archipelago of the Brijuni Islands. Jack Nicklaus and Nicklaus Design have courses open for play in 28 different countries, but this is the firm's first in Croatia. Nicklaus Design currently has 80 projects under development outside the United States, including 20 new countries. "This is one more country that five years ago we, as a firm, never dreamed we would have the opportunity to be involved in as far as developing golf," said Tim Kenny, Executive Vice President for Nicklaus Design. "It is exciting for Jack, the family and Nicklaus Design to continue its efforts to introduce and grow the game in new markets throughout the world." There are currently just three golf courses to service the country's population of roughly 4.4 million. Yet since 1993, Croatia has sported one of the highest growth rates of any transitional country of Central and Eastern Europe, and over the last decade, tourism continues to grow annually. In April, more than 413,000 tourists visited the Adriatic Coast, which is a 25 percent increase from the same month a year ago, and room nights are up 35 percent from a year ago. Industry experts have pointed to Croatia as being one of the most rapidly growing tourist destinations in Europe. National Geographic labeled Croatia as the top destination for the 2006 season, and it is estimated that several billion dollars of tourism infrastructure projects are being planned throughout the country over the next three to five years. Golf seems to be a perfect fit with the area's fast-growing tourism industry, especially with more than 3,600 miles of coastline and a prevailing Mediterranean climate on the Adriatic coast that includes dry, sunny summers with temperatures averaging 77 degrees and mild winters with an average temperature of 54 degrees. "This is both exciting and an honor that the developers of Porto Mariccio have chosen our firm," Jack Nicklaus said. "This area is beautiful, and has so much untapped potential. We are honored to be given the opportunity to help unlock that potential and to create a golf destination and something that will further enhance the growing tourism industry of Croatia. 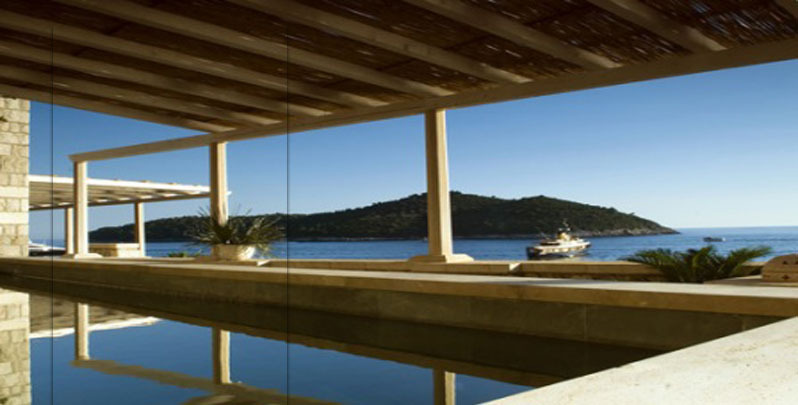 The site itself is ideally located on the Adriatic Sea, and with the combination of the shoreline and the gentle contours of the property, we have a chance to create something special." For more than 35 years, the mission of the Nicklaus Companies has been to enhance the golf experience, and to bring to the national and international consumer golf-related businesses and services that mirror the high standards established in the career and life of Jack Nicklaus. These services include golf-course design, the development of golf and real estate communities, and the marketing and licensing of golf products and services. Nicklaus Design, recognized as the world leader in golf course design, has been involved with 298 courses open for play in 28 countries and 37 states. Of those, Jack Nicklaus has designed, co-designed or re-designed 245 courses around the globe, 47 of which have been ranked in various national or international Top-100 lists.